CR2 is a file format of RAW photos taken with Canon cameras. Just like any other RAW files, CR2 photos leave a lot of possibilities and fun to photographers. However, as a Canon owner, one of the main challenges you might face is losing your photos, which are usually very valuable as personal assets or business materials. You need to look for a way to recover your photos. Recovering your photos shouldn’t be an expensive affair as there are many ways to get your CR2 photos back without spending a penny. So how do you recover CR2 photos free? 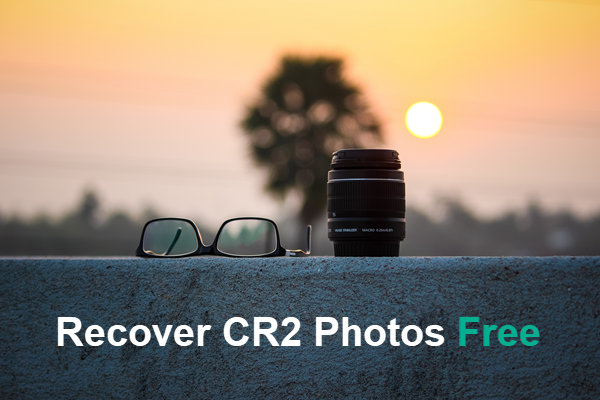 There are many tools that you can use to recover lost CR2 photos, and RePicvid free photo recovery is one of the best, and possibly the only one 100% free for CR2 photo recovery. 100% free – If you have lost your CR2 photos and you are worried because you don’t have a budget for it, then worry no more. Unlike other programs which you have to spend a lot before recovering your essential photos, RePicvid is 100% free, and you will never need to spend for you to enjoy the service. You only have to download the software and get your photos back. Not only CR2 photos, with RePicvid, you will recover all kinds of photos free from camera SD card or other storage devices without any hassle. Support various storage devices – There are many storage devices, and everybody will use a different one to save their photos and other files. You will use what you feel is convenient and favorable to you. The main problem comes when you lose your photos, and you want to recover them. Many recovery programs will only allow you to recover photos from specific storage devices making it more likely for you to permanently lose your photos. The good news is that RePicvid has come to your rescue. With this program, you can recover your photos no matter where you had saved them. RePicvid supports various storage devices, including your camera, USB drive, hard disk, memory card, and SD card. Different scenarios – There are different situations in which you might lose your photos, either accidentally or intentionally. You might have found yourself in a situation where you see some folders as useless, but only to find them precious after deletion. It becomes hard for you to recover your photos back, but with RePicvid everything is solved. This program will help you to recover your CR2 photos regardless of the situation in which you lost them. You will recover photos lost from an operating system crash, virus attack, formatting, hard drive failure, accidental deletion, partition loss, human error and many more. No matter the situation in which you lose your CR2 photos, you shouldn’t panic. User-friendly – Just like any other utilities, you will always need a software that will not pose any challenge when it comes to using. You don’t need to go for something that will take much of your time struggling to understand. Software that is easy and efficient to use is what everybody wants, and this is not exceptional with RePicvid. RePicvid comes with a user interface that is very friendly and simple to understand. You will not have to spend many hours trying to understand the interface or go knocking for your friends to help you. By taking a few of your seconds, you will understand everything and recover your CR2, JPEG or other photos with ease. Advanced recovery – If you don’t want to recover everything back then, this is the right software to use. RePicvid comes with full scan and quick scan options where a quick scan enables you to scan and recover only what you want while full scan enables you to recover all your photos. If you don’t want everything back, then going for a quick scan can be very helpful as you will take less time than trying to recover large load that you are not going to use. In the user interface, you will find filters to filter and recover only the photos you want. Step 1. Download the application. If you already have the program on your computer, you can skip this step. The whole process from downloading to installing is straightforward with no technical skills requirements. Step 2. Select the file type and device to scan. After installing the software, just run it and choose the file type for recovery. Photo/Graphic is surely the right option for CR2 photo recovery. The next thing you have to do is to select the disk where you had saved your photos. If you had saved them in your memory card, you need to connect it with your computer so that you can select it as the device to scan. Step 3. Preview and Recover. Once the scanning is finished, you’ll be presented with all the files. Just click the options on the left pane and preview the files on the right, then select the CR2 photos or other files and click Recover button to get them out. Once the recovery is finished, you’re be guided to the output folder to check and view the RAW photos on computer. RePicvid is the best solution for all your CR2 photos recovery needs. This free CR2 photo recovery software is simple to use with a friendly interface that will take no time to understand. 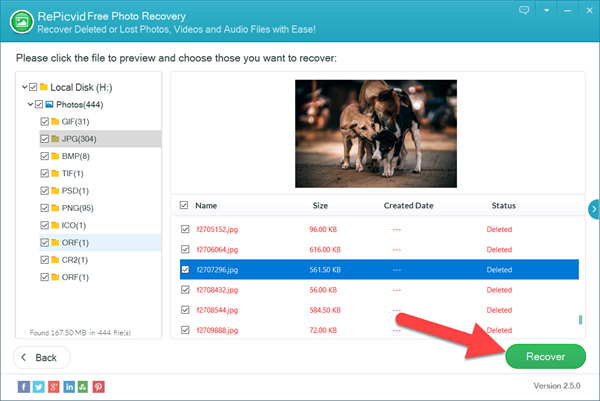 Apart from recovering CR2 photos, you can also recover deleted videos and other files using this excellent recovery tool. If you have any queries, please feel free to drop a line in the comment.